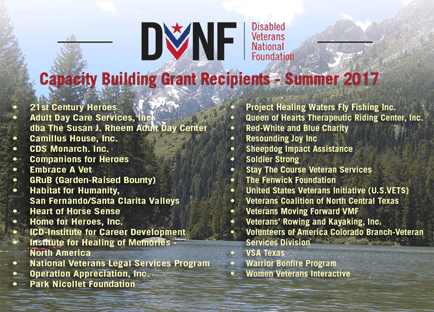 The Disabled Veterans National Foundation (DVNF) (www.dvnf.org) has announced that it will award $501,828 to 32 organizations as part of its summer session of Capacity Building grants. 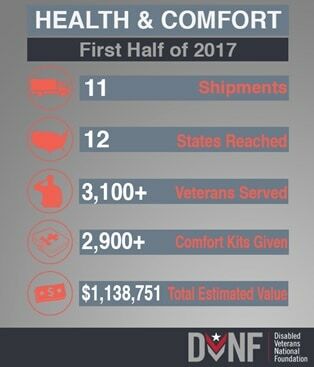 This is the second session of funding DVNF has given this year, giving away nearly $1 million in direct assistance to veteran initiatives. The organization expects to meet its $1 million goal in 2017 for this Capacity Building Grant program.